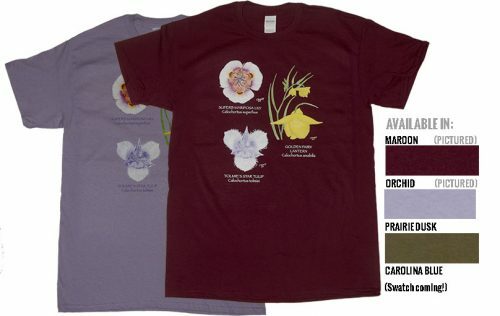 A long-sleeved version of the mariposa lily T-shirt, with three mariposa lilies, PLUMMER’S MARIPOSA LILY (Calochortus plummerae), INTERMEDIATE (Calochortus weedii var. intermedius) & CATALINA MARIPOSA LILY (Calochortus catalinae). 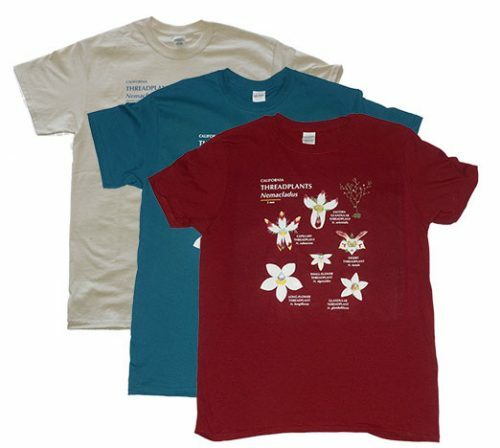 Digital print on 100% pre-shrunk cotton Gildan T-shirt. 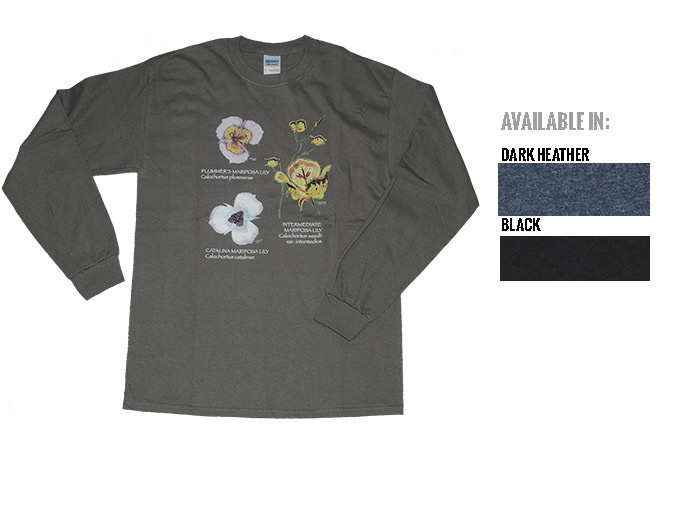 Limited sizes available in black and dark heather.